Print Tasmania is an independently operated print management company in Tasmania. We have the experience to limit unnecessary printing expenses, while still guaranteeing the highest quality outcomes. Our Vision is the efficient and sustainable procurement of printing services within Tasmania. To most efficiently partner our clients' needs with suppliers of premium quality printed materials. Increase your buying power by joining Tasmania's fastest growing collective of print buyers. 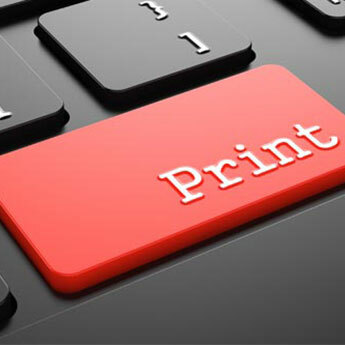 Print Tasmania provides strategic print procurement, highly focused print management, and effective delivery of quality printed communications to many clients within Tasmania and beyond. Whether you need to print a brochure, or a bus, Print Tasmania is able to bundle your printing requirements into one acquisition, and this can dramatically reduce your bottom line. With decades of print management experience within Tasmania, we employ a unique business model which is designed to deliver not only reliable services with protection of brand and key corporate focus, but also transparency, integrity and un-paralleled cost efficiency. At Print Tasmania we efficiently partner our clients needs with suppliers of premium quality printed materials. Print management from concept to delivery to achieve maximum brand awareness and cost efficiency. Offering comprehensive financial and quality auditing of your current print procurement strategies. Professionally prepared artwork is a crucial aspect of advancing your brand, that's why we engage with some of the State’s best designers. Print Tasmania operates a boutique book bindery and offers professional hard case book binding in a large range of traditional finishes. You are welcomed to explore further explanation of our services on offer. Print Tasmania is an independently operated print management company in Tasmania. With decades of print management experience within Tasmania, we are the only organisation that can offer all the benefits of reliable project management, whilst ulitlising the resources of more than one print provider. This business model is designed to deliver not only reliable services with protection of brand and key corporate focus, but also transparency and integrity. By focusing on capability and efficiency, Print Tasmania is able to ensure that print buyers have every opportunity to achieve maximum cost efficiency and reliability of supply. With frequent fluctuations in print production pricing of up to 40% across our market, it is the experience we employ in placing our orders that generally translates into significant savings for the client.